Search EVERY HOME Available In The MLS With Ease! Receive A Free Market Analysis! Not An Automated Analysis, A True Home Analysis. 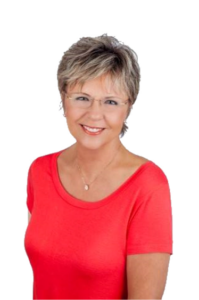 Nancy Finch, your Southwest Florida Real Estate agent can help you find your perfect home. Learn about Fort Myers Real Estate, Estero Florida Real Estate, Cape Coral Florida Real Estate, Captiva Florida Real Estate, Sanibel Florida Real Estate, and the best places to live in sunny Florida. My web site is intended to supply you with the most recent Real Estate market information for all Southwest Florida neighborhoods and the surrounding areas.I feature a free, up to date Real Estate search that will allow you to search just like an agent. There are many places out there to search, the challenge is finding a place that offers current listings like my website. All the data is fed directly from the MLS. As a resident in Southwest, FL since 1981 and a Realtor since 1983, I am fully aware of the current market trends and what it takes to find your perfect home or get top dollar if you are selling. When it comes to getting the job done right, you can count on me. We have a large network of connections from related industries such as mortgage, insurance, construction, interior design and so much more. Please don’t hesitate to call and ask me any questions you might have. This process is all about you and your needs. Real Estate is a big investment and I understand that. One thing you will get with me is a personal relationship, and in the end, that goes a long way. Beautiful Southwest FL is a great place to live! For more information, please give me a ring or email me today. I would love the opportunity to earn your business and partner with you in regards to your Real Estate needs.